Secondhand smoke can increase the risk of heart and lung diseases. 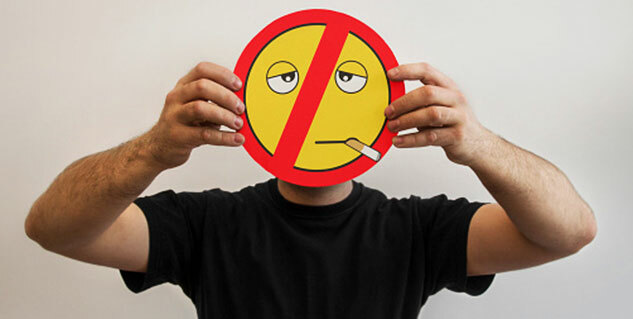 Eradicating smoking in workplaces, bars, restaurants, and other public places is very effective way to protect effects of secondhand smoke. If you are prone to heart disease, you really need to stay away from secondhand smoke. You must be aware of secondhand smoke; even secondhand smoke can increase the risk of heart and lung diseases. An expert report even infers that secondhand smoke itself can elevate the risk of heart attack in people suffering from heart disease. “The report affirms that eradicating smoking in workplaces, bars, restaurants, and other public places is very effective way to protect Americans from the health effects of secondhand smoke, particularly on the cardiovascular system,” Thomas R. Frieden, director of CDC, MD, MPH, says in a news release. The research on impact of smoking bans on cardiovascular risk and the link between heart diseases and secondhand smoke has been reviewed by the institute of medicine. Studies show that even negligible exposure to secondhand smoke can cause blood clotting and contract blood vessels, leading to heart attacks. At the news conference held in San Francisco, University of California, physician and smoking researcher warned the people with heart diseases to stay away from secondhand smoking as it can cause immediate threat to their life. Even the people who are vulnerable to heart problems may experience stroke and other problems in influence of secondhand smoking. He also added that since many people aren’t aware that they have any heart disease or not, until they have a heart attack, they are more likely to be at risk. “Even if you think you are perfectly healthy, secondhand smoke could be a potential threat to you,” he said. Studies prove that secondhand smoke hurts the heart but the magnitude of risk is not so clear. There are studies that suggest that secondhand smoke elevates the risk of heart disease by 25% to 30% even in a nonsmoker. However, the panel believed that there is no sufficient evidence to evaluate the risk. And after researches, it is now evident that broader administration of smoking ban from public places could save lives, Friedman cited. Saving life with ban on smoking is what the initial implementation aimed at and to an extent it was successful. However, it has been found out that three out of four adults are suffering from one greater risk factor for heart disease while only 40% of Americans reside in areas smoking ban.